Welcome to Dalkey Heritage Town. Dalkey is an urban oasis nestling on the east coast of Ireland just ten miles south of Dublin city, half an hour by DART train. A warm welcoming atmosphere awaits you here. 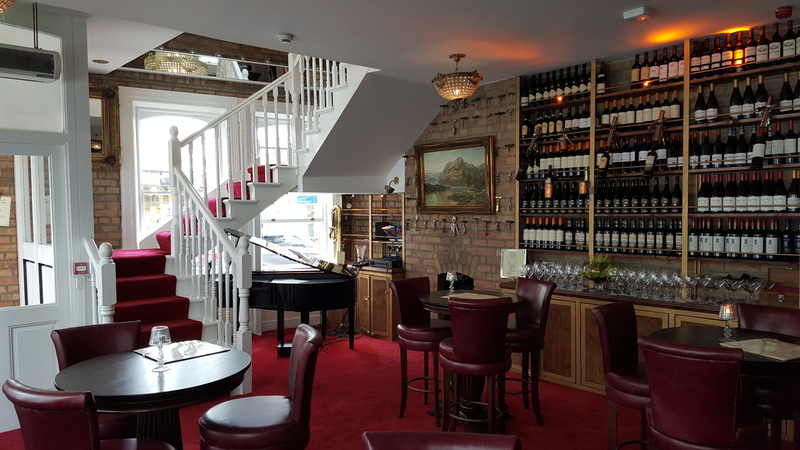 Whether it’s castles, panoramic scenery, festivals, theatre, markets and of course, our renowned 1909 Restaurant and Wine Bar you are looking for, Dalkey is the place to visit. Private room available for Corporate Events, Birthdays, Christenings with capacity for 70 people. The area is home to many creative artists such as writers, musicians, film directors and rock stars. 1909 Wine Library is the perfect venue to cater for any occasion. With a seating capacity of 40. Private bar and stage available if needed. For parties larger than 40 you can also reserve the Decanter Room which will give you a further 25 seats. Menus can be tailored to suit your budget by 1909’s Head Chef. Contact us now for more information. Friendly staff and a very tasty menu mark out this new establishment as a must-visit eating and drinking venue. We had a bank-holiday lunch and were surprised to be offered a complementary Bellini before ordering. Meals are prepared in full view of the customers and this helps create atmosphere which is enhanced by the stylish live piano music performed in the bar. 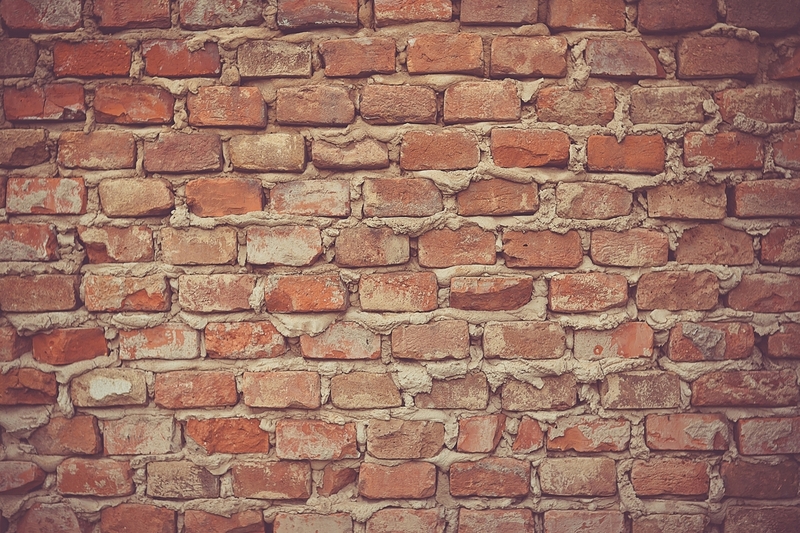 We'll be back. I cheekily booked a table for two very late in the day and I was looked after with no problems . myself and my wife arrived and were given a quick tour around the restaurant by the manager who told us some history about the place. We were seated in a very comfortable booth close to the open kitchen where we were offered complimentary sparkling water. We ordered our starters which arrived promptly and were delicious and that was followed by our main course . The Steaks were the best i have had in any restaurant , cooked to perfection with beautiful sides. Great wine list and beers & cocktail selection. 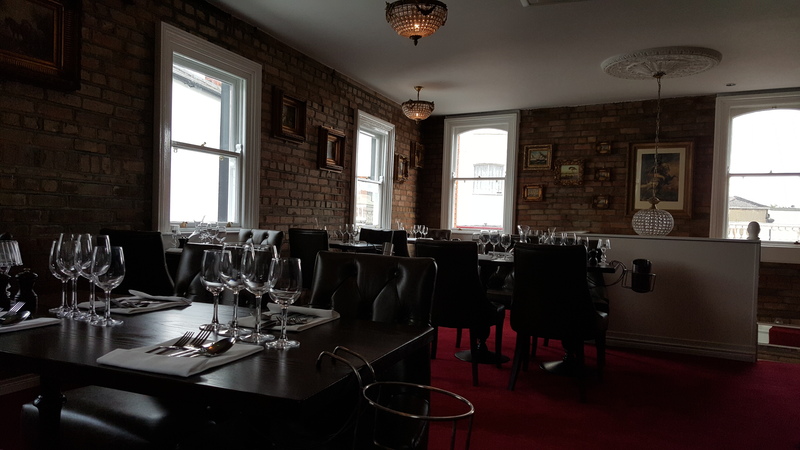 This is a excellent addition to Dalkey and the attention to every detail is noticeable. This is now where myself and friends will be going when i am in Dalkey from now on. 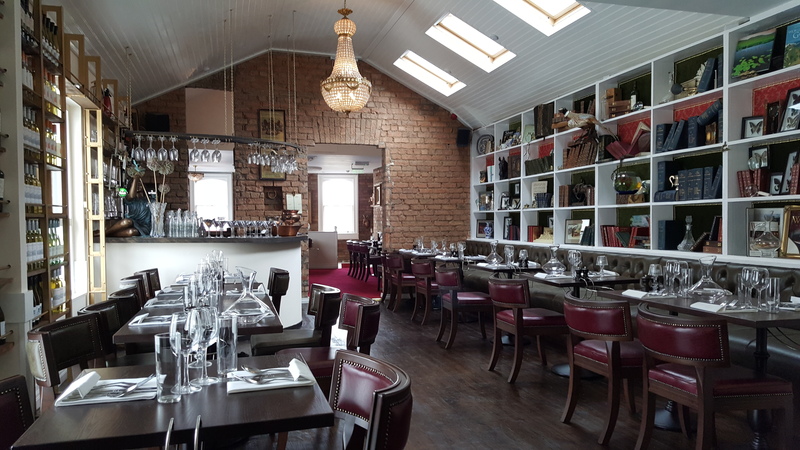 Visit our sister restaurant Millstone of Dame Street. Millstone Restaurant is located at the heart of the city centre on Dame street, directly opposite the central bank. Specialising in steaks, they offer 7 different cuts of meat with a great variety of other choices on their à la carte & early bird / set menu. With live background music 7 nights a week, Millstone has this unique ambience, perfect for couples dining by candlelight or for large group of friends using their private mezzanine that can take up to 30 people. Millstone Restaurant also offers an extensive gluten free menu. A great variety of choice and the comfort of knowing that their professional kitchen and waiting staff are highly trained in this area.